This is the third year for the Indie Designers Gift-Along – I’m quite good at keeping track because it’s also the THIRD holiday season I’ve been a mom. Yup, I didn’t participate the first year because I was busy nursing a six week old. Last year I had barely any knitting time since my one year old wasn’t sleeping in her own room yet, and I stuck to knitting accessories and quick gifts. This year my knitting time is starting to rebound! 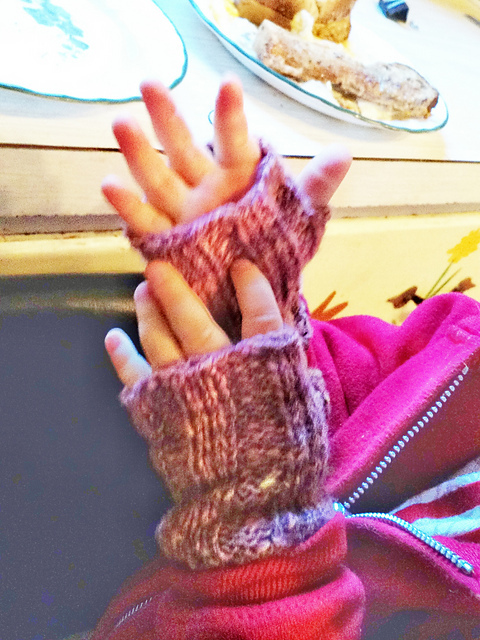 But I’m still knitting small things: toddler mittens, cowls, boot toppers. I have a list, but the projects on it are still nothing big. So for this post I want to dream about the big things that I WISH I was making! Remember, all these patterns are 25% off until the end of today! I almost linked Shakespeare in Love again, but seriously – I know I featured it last year too… Carol’s designs are gorgeous, sculptural things. And I so SO wish I had time to knit one of them this year. Want more cables? What about Julia Trice’s Elia? I love that neckline! 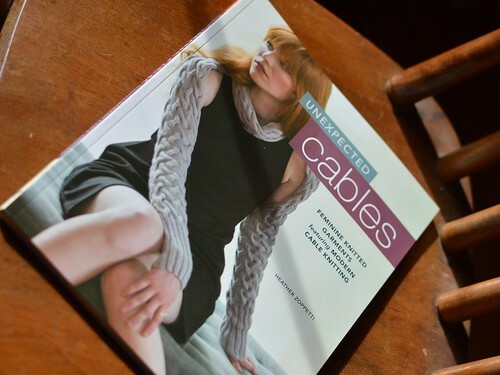 Julia has used it on a couple of sweaters and someday I WILL knit one! 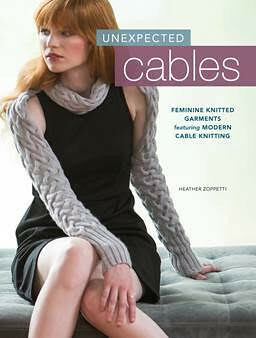 Clearly I’m on a sculptural cables kick today, huh? 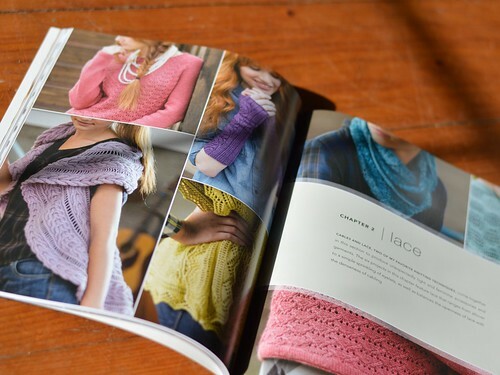 So much gorgeous knitting, so little time. Please stop by the Gift Along group sometime before the end of the year! We’re getting a lot of knitting done, and having a lot of fun doing it! 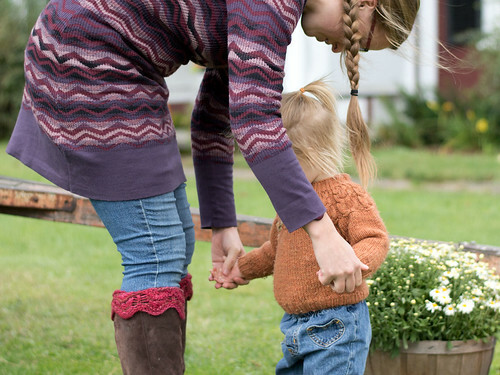 These adorable little things are from CJ’s Garter Cuff Mittens by Denise Balvanz, except with icord. I knit them traveling home from a conference last week. 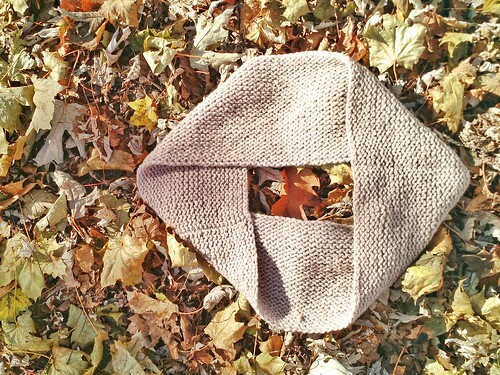 I’d thrown the yarn and needles into my bag figuring I’d find a pattern later. I was able to search Ravelry and download the pattern to my phone while sitting at a short layover. Have I mentioned I love living in the future sometimes? I followed the pattern exactly as written, except for how I didn’t (you know me) instead of a standard cast on I knit some icord first, and then picked up stitches from there to make the cuff. My only other change was that the mittens are about 4 stitches smaller than the smallest size, because Windsor’s hands are so wee. I’ll be participating in the Indie Designer’s Gift Along again this year, and it starts this evening! If you haven’t heard about this before it’s a group of indie designers (over 300 this year!) 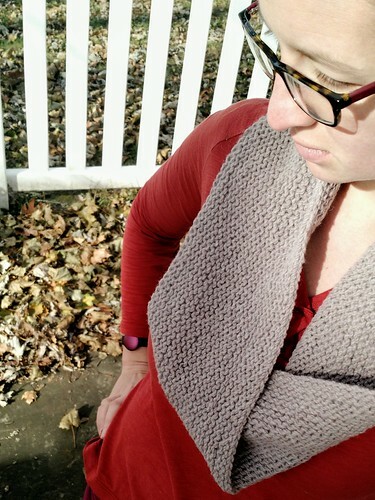 who band together to offer you a brilliant pattern sale right before the holidays. All participating patterns will be 25% off from tonight at 8pm until November 27th at midnight (Eastern time). 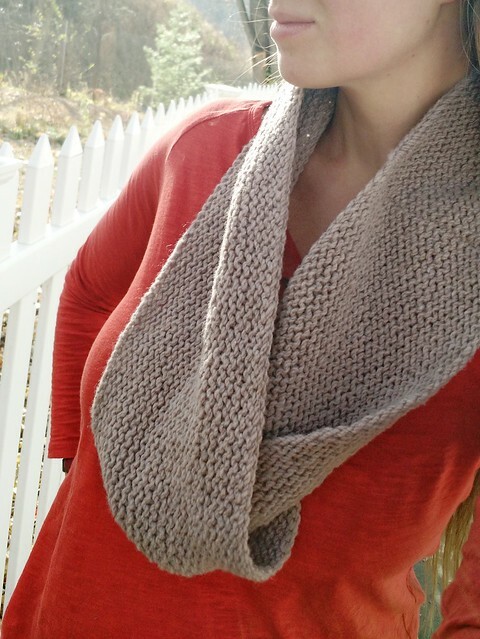 Along with the two week sale, and continuing until the end of December, we have a group knit along, fabulous prizes, and support for everyone during the holiday knitting rush. The November KALs are going nicely, lots of folks from the Peace Fleece group are knitting Cervus, but Oleracea has a knitter too. If you still want to join, two weeks is plenty of time to knit a hat. And we have prizes! You could win yarn, or caramel! 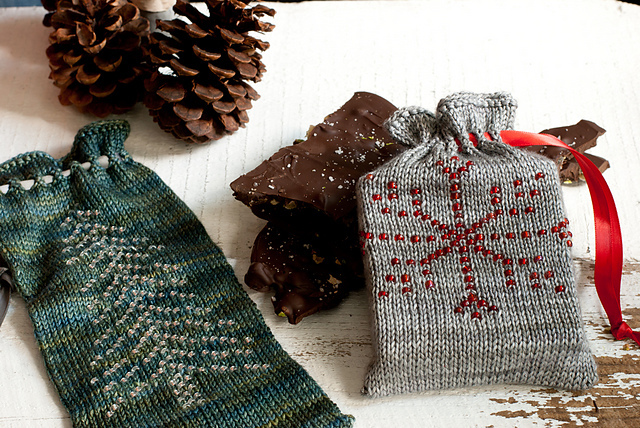 These bags are knit with Vermont dyer Ball and Skein’s shiny silk yarn and adorned with beads in festive patterns. 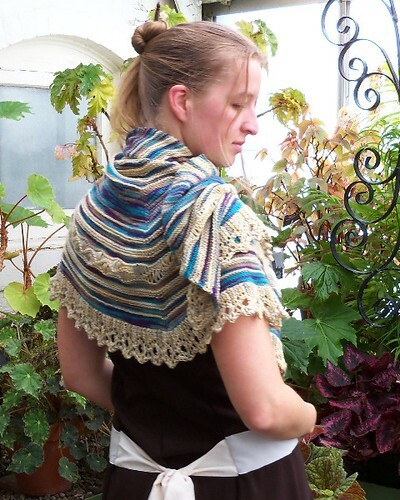 It’s a simple crescent shawl with feminine ruffles at the bottom, supportive icord along the top edge, and a romantic hood. The sample is knit from Sunday Knits angora blend yarn. 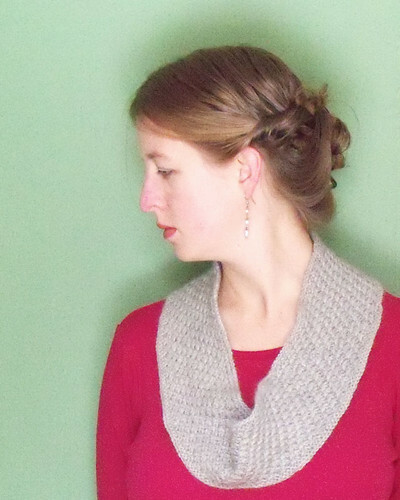 I hope you’ll stop by the December KAL thread and let me know what you’re thinking about knitting for next month! No pattern and they’re not perfect, so even though I kept notes I won’t be publishing one. The ankles are too big around. 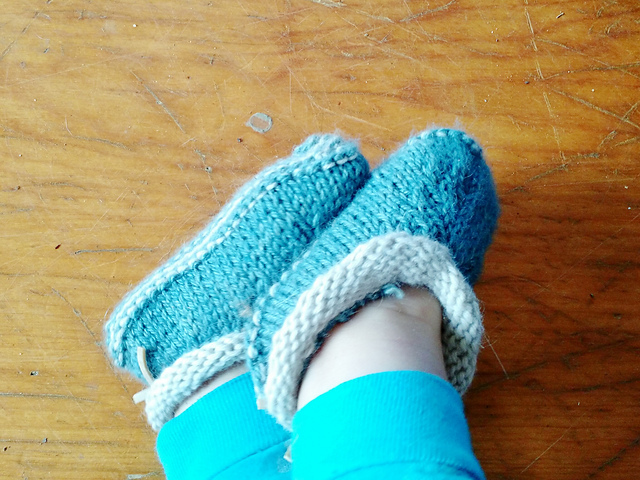 But I wove an elastic through them and now she can get them on and off by herself. So we’re calling that an intentional part of the project. I’m traveling next week, so I’ve got a couple of bigger projects on deck. One new design and one old sweater that I keep wishing I could wear right now. Also coming on the plane ride will be Yet. Another. Pair. of toddler mittens. And maybe something for Neil, if I have the time. How much knitting do you think I can do in a week if I sleep the same amount I have been, and don’t have a toddler to take care of for 5 days straight? These boot toppers are kinda addictive. You know that feeling when you’re cold and you simply MUST knit something warm? We all know it’s illogical. Putting on an existing sweater would be a faster way to warm up. 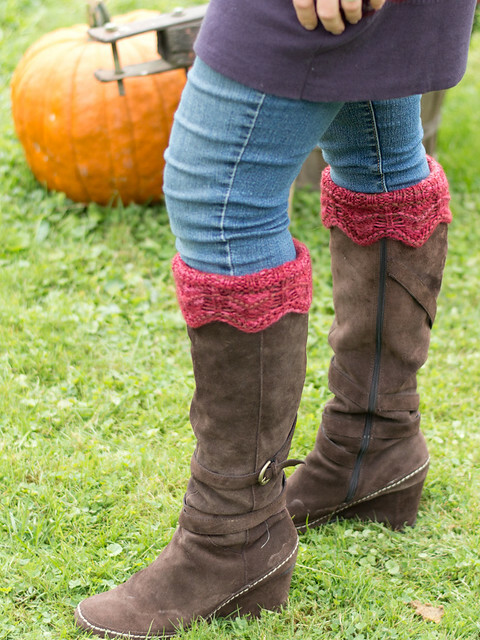 Well these little boot toppers are so quick you really can cast on, and have something warm to wear almost instantly. Knit out of Fleece Artist BFL Aran on size 8 needles this project goes quickly. And at 110 or 180 yards you probably have some extra aran weight yarn kicking around in your stash that could be kicking around on your boots keeping you warm instead. I hope you’ll give them a try! They’re stylish AND cozy. 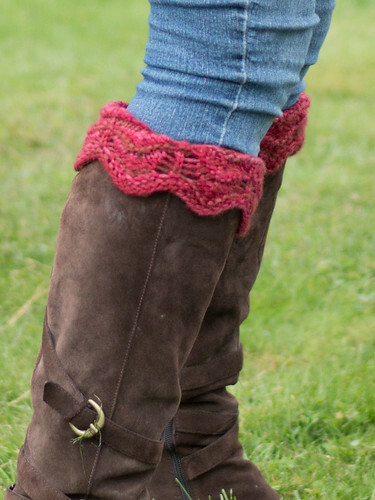 There’s lace work on every round to give the edging that scalloped look. But it is only 2-4 rounds at a time so it’s never really tricky to keep track of what you’re doing. Because of the generosity of knitters I’ve donated over $150 to the Center for America’s First Horse. If you’re interested in learning more about them and their water situation our local TV channel put together a little piece which can be seen online. 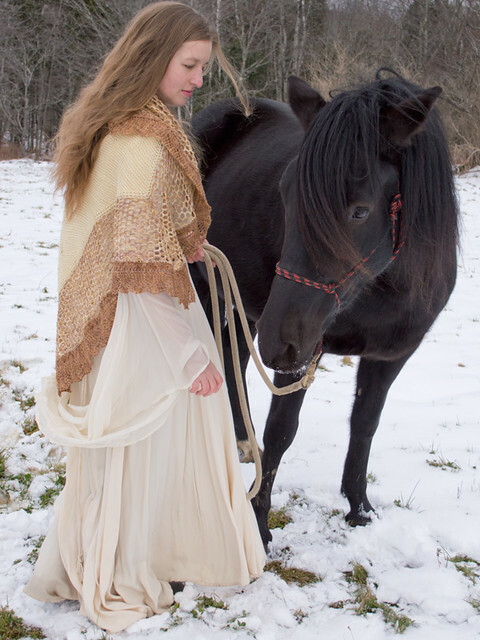 My pattern sale may be over, but you can still donate directly to the horses. The first time I cast on far too many stitches. But I knit 10 or 20 rounds to figure that out. The second time I cast on a few too many stitches, and I only knit 6 rows before I figured it out. The third time I cast on just the right number of stitches. But 6 rounds in I discovered a different flaw. Know how most patterns, including mine, direct you to “join to work in the round, being careful not to twist.” Well, I missed that second half. I contemplated starting over a fourth time. But by now if was Rhinebeck weekend, I was exhausted. And honestly I needed some very simple knitting. 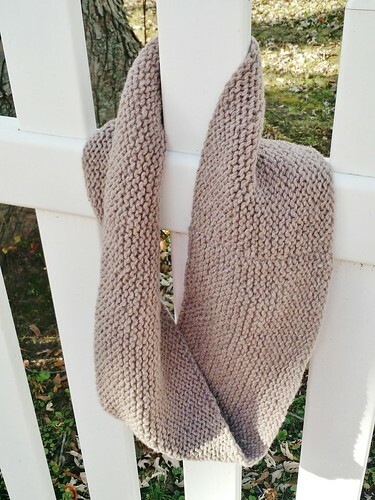 So that’s how my twisted garter stitch cowl was born. It’s squooshy and I’m considering the twist a feature.